This independent one day tour in Beijing includes Summer Palace, Nanluo guxiang hutong, Yandai xiejie hutong and Houhai. 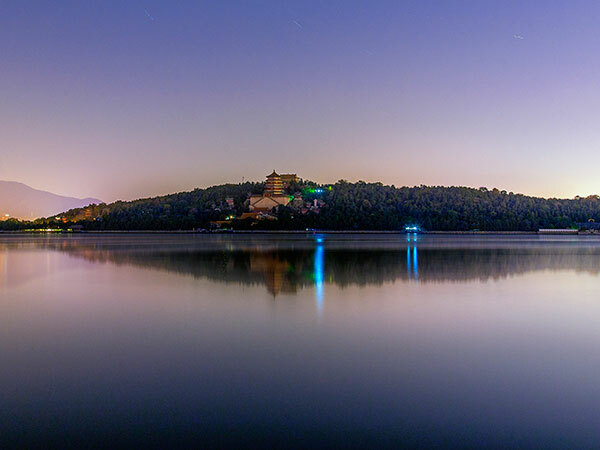 In the beginning of this one day tour, first you should get up early and make sure that you get the Summer Palace in 7:00 to buy yourself a ticket, considering the Summer Palace is so big that it will takes several hours to tour. Second, you bring some food, snack and water for energy complement. Third, after touring the Summer Palace, you are going to tour Nanluo guxiang hutong, Yandai xiejie hutong, then go to Houhai at night fall. The Summer Palace(颐和园: Yiheyuan) is a royal garden located in Haidian district and close to the Old Summer Palace, and it is built around Kuming Lake and Washou mountain, covering an area of about 290 hectares. 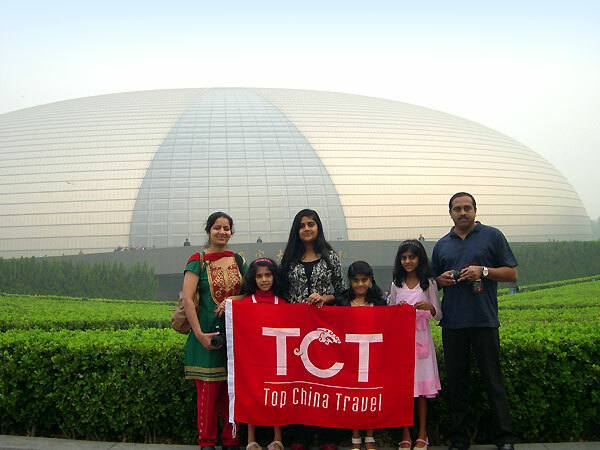 It is also well known to world as one of the top 4 famous gardens in China. The Summer Palace has decades of attractions, scattered in everywhere of this palace, and most of them crowd in the north side of Kunming Lake and the south of Wanshou mountain. The Summer Palace has many gates, and you may enter through New Palace Gate, East Palace Gate, North Palace Gate and West Entrance. Thus you may have different tour routes according to your entrance place. I suggest you enter through East Palace Gate which is the front gate of the Summer Palace. Yuanzhongyuan. Dehe yuan, Foxiang ge, Suzhou jie, Wenchang yuan, are together called as gardens of garden, or Yuanzhongyuan. Tour guide. Summer Palace provides three ways of guide service, you may rent an audio guide at several gates, pay for a human guide, offering 19 language services, or you may download an app at an app store by searching “the Summer Palace”, which will serve as a guide. Eating. The Summer Palace has restaurants available to tourists. You may eat in a restaurant inside the tour spot or outsite this tour spot. Or you may bring some food to eat, which is convenient and money-saving. Shopping. There are stores selling various souvenirs, like books, pictures about this palace. Sightseeing ways. The Summer Palace is so large that you may buy a map or take a picture of the tourist map in this scenic area. It provides electromobile, pedalo and rowing boat service to tourists and their business hours are from 8:00-16:30. Electromobile is available at Paiyun dian, Wenchang ge, and Yuzao xuan, and the renting of an elctromobile with 4 seats costs 80 yuan per hour, and an elctromobile with 6 seats costs 120 yuan per hour. Pedalo is available at Bafang ting, Yulan tang, Paiyun dian, Wenchang ge, and Yuzao xuan. A pedalo with 4 seats costs 60 yuan per hour, and a pedalo with 6 seats costs 80 yuan per hour. Rowing boat is available at Bafang ting, and the renting fare of a rowing boat with 4 seats is 60 yuan per hour. To the East Palace Gate: No. 330, No. 331, No. 332, No. 346, No. 584, No. 594, No. 375, No. 563, No. 508, No. 579, No. 303, No. 584, etc. To the North Palace Gate: No. 330, No.331, No. 332, No. 346, No. 584, No. 594, No. 375, No. 563, No. 508, No. 579, No. 303. To the New Palace Gate: No. 374, No. 74, No. 473, No. 952. Subway: Line 4 and get off at the Xiyuan station and go to the East Palace Gate. Line 4 and get off at the Beigongmen station and go to the North East Palace Gate. Taxi: wherever you are, you could take a taxi to Badaling Great Wall, and taxi fare is calculated in this way since 2017: within 3 kilometers 13 yuan +1 yuan (fuel surcharge). More than 3 kilometers: 13yuan (within 3 kilometers) +1 yuan (fuel surcharge)+2.3×kilometers(deducting 3 kilometers). If you take a taxi in the time period of 23:00-5:00, 20% will be added to the unit price, and 2.3 yuan per km would be changed to 2.76 yuan per km. This information is only for your reference, which may be different according to price adjustment. First, go in from East Palace Gate, and you will see Hall of Benevolence and Longevity(仁寿殿:Renshou dian), where the Emperor met foreign envoys when he lived in here, then go to Garden of Virture and Harmony(德和园: Dehe yuan), which has several buildings, and one is Great Stage(大戏楼: Daxi lou) which was used to watch opera performances. Next, go to Hall of Jade Ripples(玉澜堂: Yulan tang) and Hall of Happiness and Longevity(乐寿堂: Leshou tang). Second, go to the north part of Kunming Lake. Go through the Long Corridor, with a length of 728 meters which has over 14,000 pictures painted on its ceiling, and you will come to Hall of Dispelling Clouds(排云殿: Paiyun dian) which is arranged at its original setting, and it has lots of ancient decorations, and in here you can rent an electromobile and a pedalo. If you like, please have a boat sightseeing on the lake, but back here. Then through Hall of Dispelling Clouds, go to Tower of the Fragrance of the Buddha(佛香阁: Foxiang ge) which is the center of this palace. It has three stories with a height of 36.44 meters built on a stone base, and houses a bronze Buddha statue with a height of 5 meters. And then visit other attractions from the west side to the east side in Wanshou mountain area. In the east side, you can visit Xiequ yuan, built in the garden style of Jichang yuan in Wuxi, and it has several gardens. Then go through from the northeast to southeast, and you are recommended to go to Suzhou street( 苏州街: Shuzhou jie), which is built in the imitation of water towns in south China, with a length of over 300 meters, and it has over 60 stores along the water or the street. After Suzhou street, go may go out from the North Palace Gate. If you like you may visit all attractions in the Summer Palace, and back to the North Palace Gate. Or before going out, you have a lunch at a restaurant in the northwest corner of the palace. After you go out, please walk about 400 meters to the Beigongmen subway station. In this station, you take Line 4, and get off at Ping’anli station after 12 stations, then you transfer to line 6 and get off at Nanluo guxiang station after two stations. After you go out from the station, walk about 200 meters you will come to Hutong Nanluo guxiang. If you like, you may take a taxi to Nanluo guxiang, and it will take about 50 yuan. Nanluo guxiang is a famous and old hutong in Beijing with a history over 700 years, and it has a length about 800 meters from south to north. In the past, it was the capital center in the Yuan Dynasty. In its east and west sides, each of them has 8 hutongs. In the east side, the 8 hutongs arranged from south to north are chaodou hutong, Banchang hutong, Dongmianhua hutong, Beijingmasi hutong, Qinlaohutong, and Qianyuan ensi hutong, Houyuan ensi hutong and Ju’er hutong. In the west side, the 8 hutongs arranged from south to north are Fuxing hutong, Shuoyi hutong, Yu’er hutong, Jingyang hutong, Shajing hutong, Heizhima hutong, Qiangulouyuan hutong, Hougulouyuan hutong and Nanxiawazi hutong. For more information about Nanluo guxiang hutong, please visit Nanluo guxiang. Stores and residential houses. Along Naluo guxiang hutong, there are lots of stores, selling food, snacks, handcrafts, and also some experience stores. In the east and west hutong areas, there are private houses and people still live in hutong. Sightseeing way. walking is the best way of touring Nanluo guxiang, and in here, you may take a rickshaw to have a special experience about Beijing old life. In here, you make see local buildings of hutong style, by paying visits to old residences of famous people or private houses. Or you may go to see how people make handcrafts, like how to blow sugar sculpture. East hutong areas. In Chaodou hutong and Banchang hutong, there is a big residence which was the palace of a prince. Dongmianhua hutong has the private residence of General Fengshan and Central Academy of Drama is also located in here. In Houyuan ensi hutong, there is the former residence of a great writer Maodun and a beautiful residence in No.7, which was once the residence of a royal family. Close to Houyuan ensi hutong, there is a small hutong called, Xiaoju’er hutong, where you can learn how make polymer clay. West hutong areas. In Yu’er hutong, there are many old houses, including the former residence of a great painter Qi Baishi. In Mao’er hutong, there is the former residence of a Queen in the Qing dynasty, and along the hutong, there are many cuisines. 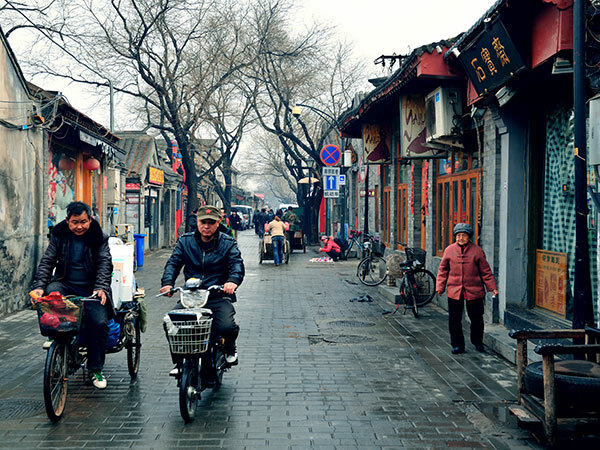 This hutong is pretty busy, and a perfect place to experience Beijing old living culture. In these hutongs, first, you can see hutong buildings, hutong architecture and go to culture museum and some former residences of famous people. Second, go shopping or window shopping in those special stores and handcraft stores, and you buy some Beijing handcrafts, like Beijing Lord Rabbit (Tuye), clay sculpture, fans, cloth shoes, and silk. Third, you may try some Beijing local food and snacks. You may eat fried pork belly and fried pig’s liver at a restaurant, two well-known dish in Beijing loved by local people, and you may try some snacks like sugar sculpture(Tangren), yoghourt, cheese. Or you can have a sit in a café restaurant or a bar. Fourth, you have a painting lesson, a calligraphy lesson, or a pottery-making lesson, and learn how to make some handcrafts. Or you can have a chat with local residents and learn how make dumplings from them. Fifth, you could have a Hutong rickshaw tour, to experience special past life in Beijing. 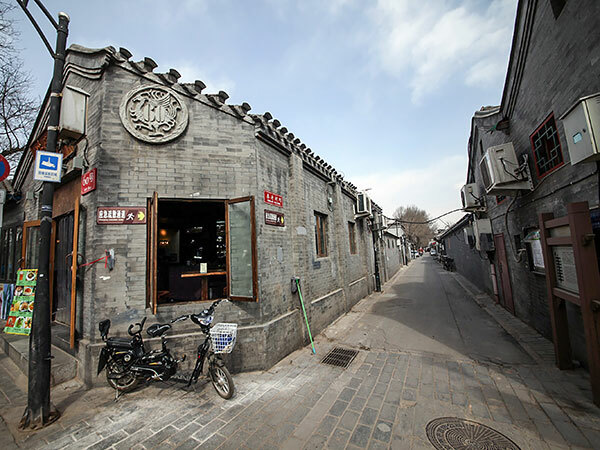 After a tour in Nanluo guxiang hutong, you walk about 15 minutes to Yandai xiejie hutong. Yandai xiejie hutong, somewhat like Nanluo guxiang, has many stores decorated in an old style, and most of them are handcrafts stores. In here you can buy various handcrafts like tea set, lantern, kite, old books, calligraphy works and paintings. Moreover there are some restaurants and snack stores available, you may have a dinner in here. After touring Yandai xiejie hutong, you walk to Houhai for several minutes. For more information about Yandai xiejie hutong, please visit Yandai xiejie. Houhai is a part of Shichahai, which is a lake, famous for its bars, special stores and Beijing lifestyle, and in the evening it is pretty busy and crowded. In the two side of Houhai, there are so many stores for you to see, and you may go to a bar to have a drink or listen to some music. If you like, you may rent a boat at Yindian bridge, and have a boat tour to experience this busy and old place. For more information about Houhai, please visit Houhai. This day tour first go to a royal garden, the Summer palace, and then go to hutongs and Houhai to experience local old lifestyle. After the tour, you know much more Beijing culture and local life.